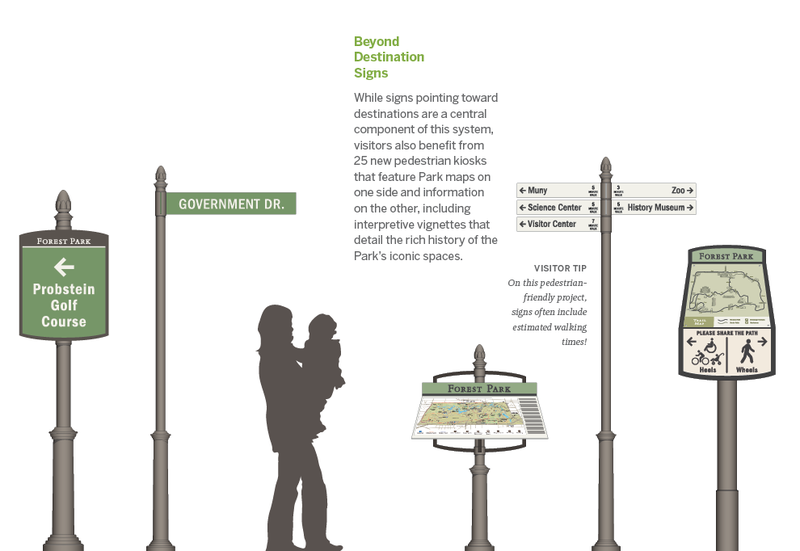 For years, a top Forest Park visitor request had been better orientation and way-finding. 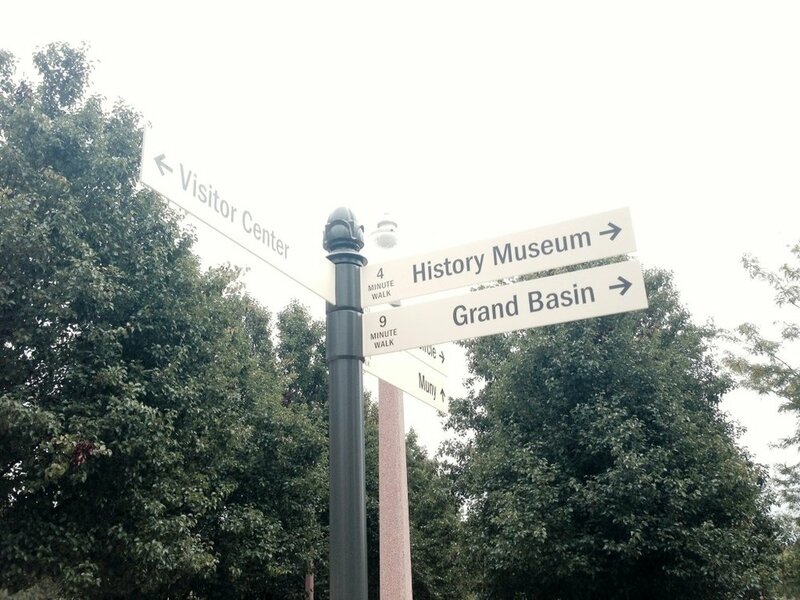 The existing brown signs (visible at left), intended to be temporary when they were installed years ago, were unattractive, vehicle-centric, incomplete and confusing to visitors. 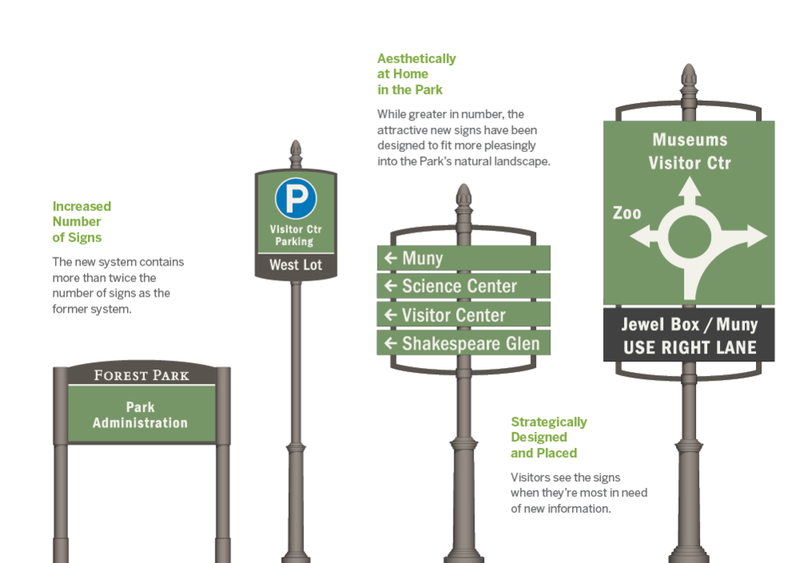 An intuitive and visitor-friendly Park-wide way-finding system, consisting of 239 new directional signs, Park maps, informational kiosks and banners that has greatly improved the experience of visitors using all modes of transportation. The crumbling sea of asphalt above the Muny offered poor experience for theatre- and festival-goers. In 2015 we transformed the old Upper Muny Lot into the new Festival & Parking Plaza, a space that is more vibrant, sustainable and welcoming. 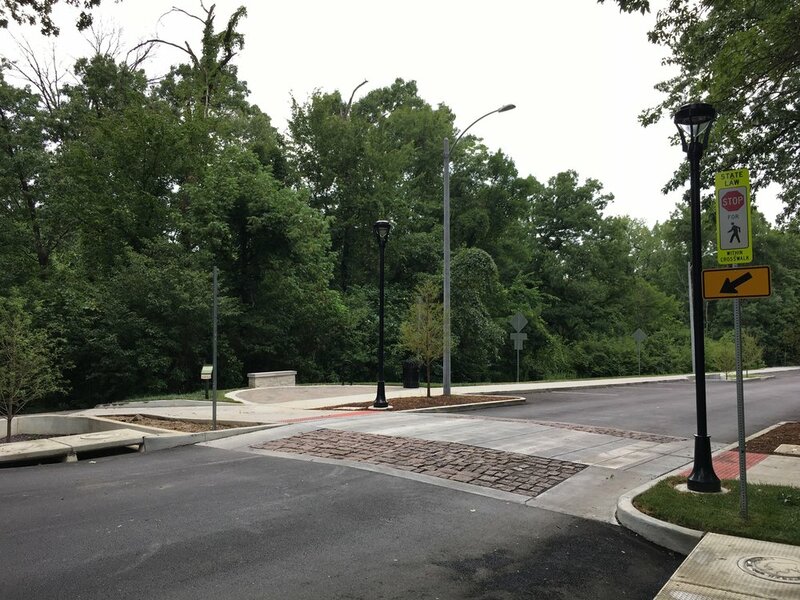 Among the gains: 25,000 SQF of new green space, 5,000 new plantings, sustainable rain gardens, new pedestrian walkways, additional ADA parking and access and 751 smooth parking spots. Restrooms and drinking fountains are antiquated for 13 million annual visitors. 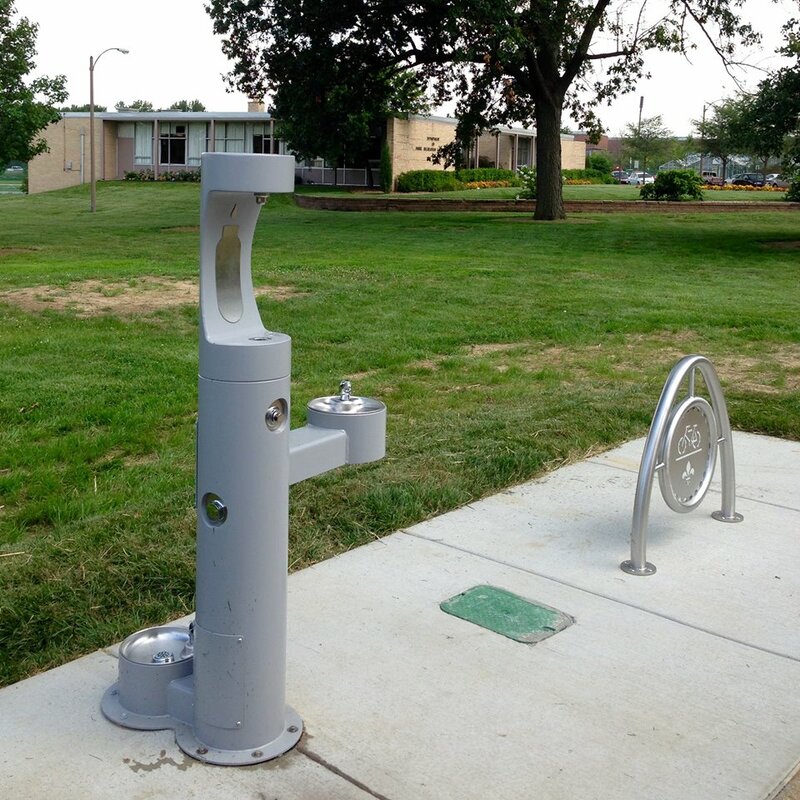 Adding drinking fountains and improving restroom access across the Park. 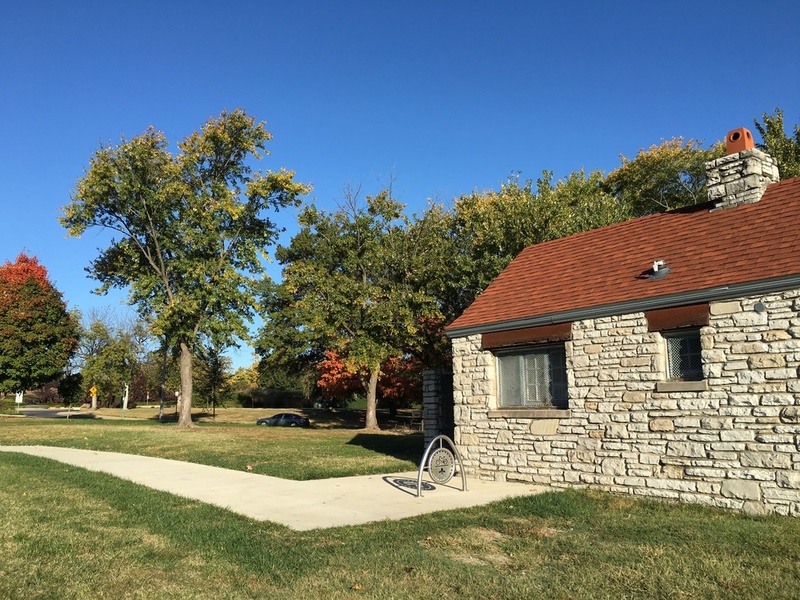 In the fall of 2015, Forest Park Forever and the City of St. Louis completed upgrades to four restrooms across Forest Park. One had been closed for over two decades (just north of Steinberg Skating Rink), two had historically shut down in the winter (at Wells Drive and the Hampton roundabout) and the fourth was made more accessible with improved sidewalks (at the Parks Administration building). These comfort stations also received new visitor amenities, including water fountains with bottle fillers (social media loved this one! 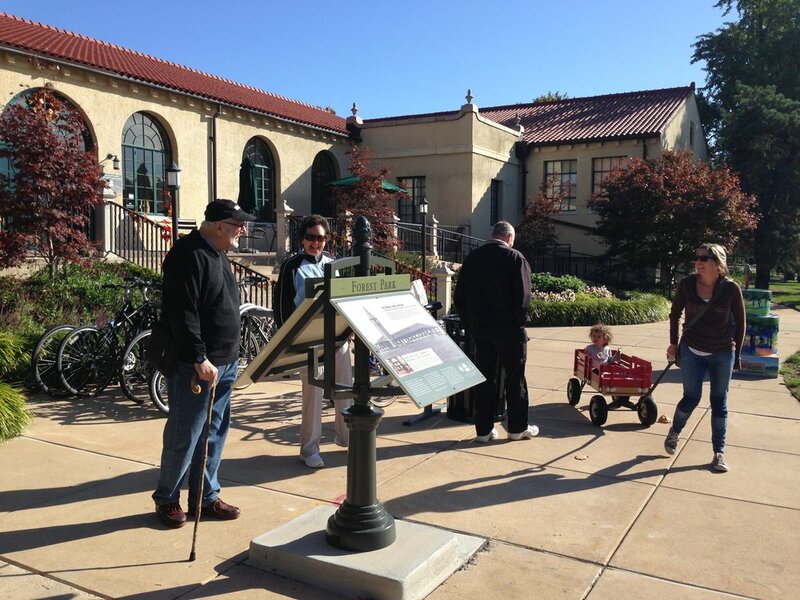 ), improved landscaping and bike racks. A larger transformation will be coming in 2018-19 to the restroom near the Hampton Avenue roundabout, creating a more holistic comfort station and gathering plaza. Roads around the Zoo and Art Museum are crumbling and not pedestrian-friendly. Rebuilding the roads, adding 2 miles of sidewalks, safe crossings, LED lighting and more. The bridge between The Muny and Boathouse has been in need of renovation for nearly a decade. The site is lacking adequate sidewalks and the waterway that runs through this area is overridden with invasive species and offers little in the way of visitor approachability or enjoyment. After a conservation effort to remove and relocate the site's wildlife (especially the turtles that call the waterway home), the bridge will be completely rebuilt, sidewalks will be installed and the waterway and surrounding green space will be transformed into a healthier natural ecosystem and meadow that can be used for passive recreation. The Wildlife Impact Mitigation and Inventory Plan was completed and the new bridge was reopened to traffic in January 2018. Landscaping and other waterway work will continue into spring and summer 2018. Sites like Central Fields are in great demand for sports and events, and are in need of an overhaul. Adding new drainage, reorienting field use, adding restrooms and concession areas (project renderings shown above). Substantial construction is complete, with the new fields in a 'grow in' phase. Studies show that today’s kids and students have limited opportunities for engagement with nature. Developing a new ‘nature playscape’ for outdoor play and learning that will be a national model. In design now. 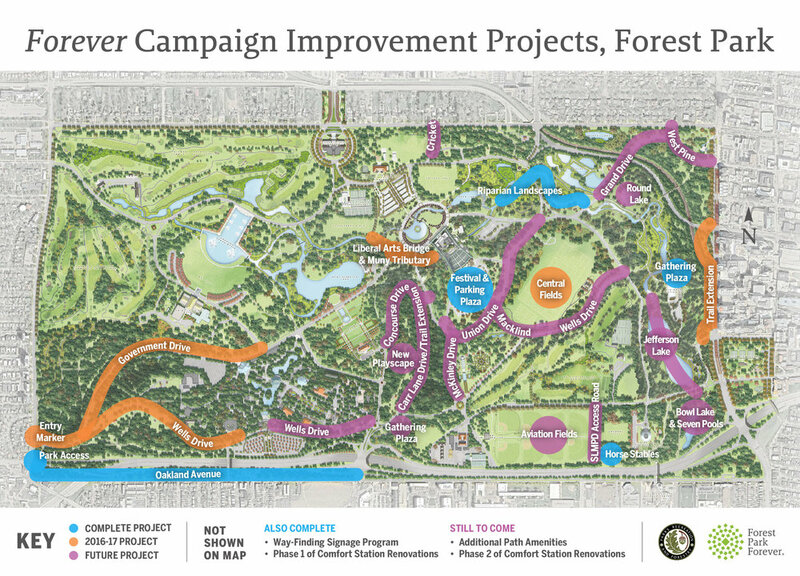 This project moved through step three of the Forest Park Advisory Board's nine-step review process in summer 2017. The Park’s waterway system is still not fully connected, limiting efforts to conserve water and improve its quality for wildlife. 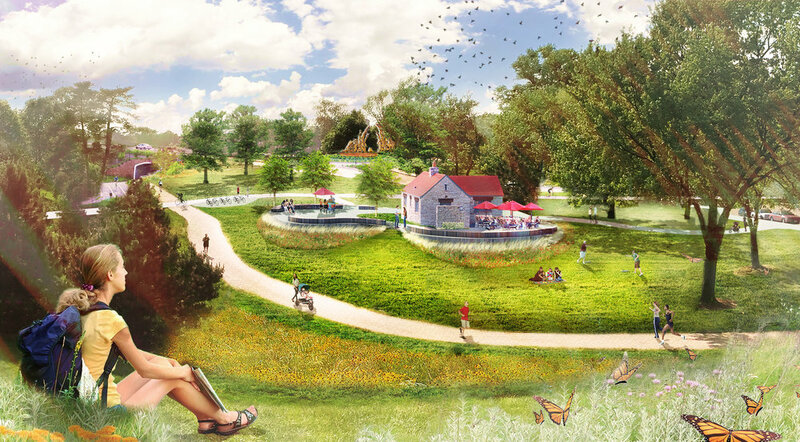 Connecting more bodies of water, reducing City water use, improving water quality, extending the Park’s natural prairie areas and making an attractive visitor destination on the Park’s east side (rendering shown above).